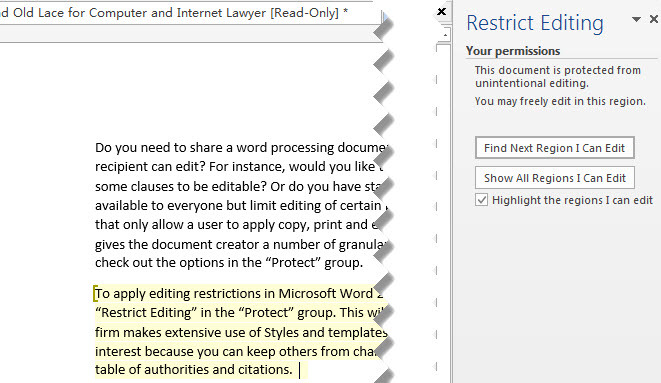 To apply editing restrictions in Microsoft Word 2010 or 2013 open the “Review” tab and click on “Restrict Editing” in the “Protect” group. This will open a new pane with two restriction options. 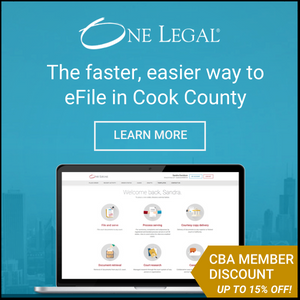 If your firm makes extensive use of Styles and templates the first option “Formatting restrictions” may be of interest because you can keep others from changing formatted Styles, which includes auto-numbering, table of authorities and citations. The other restriction option is “Editing restrictions”. Check the box and then choose from the drop down menu to limit use of the document to track changes, add comments, or fill in form fields (see how to turn a MS Word document into a fillable form in our How To… Automate Functions in Word 2013 video). The last option in the drop down menu is “No changes (read only)”. Finally, click “Yes, Start Enforcing Protection”. You will be prompted to create a password and confirm it. If you skip this step anyone who has access the document can stop enforcement of protections. Now that you know you can do this, I bet you can find some reasons to put it into action!